I term the use of the Magisterium to teach infallibly: the sacred Magisterium, and the use of the Magisterium to teach non-infallibly: the ordinary Magisterium. 1. the full assent of faith (theological assent, or sacred assent) for infallible magisterial teachings (i.e. formal dogmas). 2. the religious submission of will and intellect (religious assent, or ordinary assent) for non-infallible teachings (doctrines, but not dogmas). So the phrase ‘to be held’ is often used by the Magisterium to refer to the assent required of infallible teachings; this is the full assent (submission, obedience) of faith. Pope John Paul II: “With respect to the non-infallible expressions of the authentic magisterium of the Church, these should be received with religious submission of mind and will.” (Address to U.S. Bishops, 1988). Thus, there are two levels of assent to magisterial teachings. Some infallible teachings of the Magisterium are explicit in Sacred Tradition or Sacred Scripture. Other infallible teachings of the Magisterium are implicit in Sacred Tradition or Sacred Scripture. (The Magisterium can also teach from natural law, but all teachings found in natural law are also found, at least implicitly, in Tradition or Scripture.) Every infallible and non-infallible teaching of the Magisterium is found in Tradition or Scripture, at least implicitly. The term ‘proposes’ does not indicate a lesser degree or different type of teaching or assent, for ‘proposes’ is used for both, and both are termed dogmas. 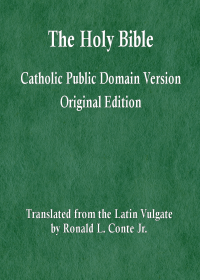 A dogma, then, is any truth on a matter of faith or morals taught infallibly by the Magisterium, even if taught under the ordinary and universal Magisterium without a discrete definition (but rather by a set of non-defining acts), regardless of whether the Magisterium is teaching from truths explicit or from truths implicit in Divine Revelation. In the Profession of Faith of Pope John Paul II, the infallible teachings of the Magisterium which are explicit in Tradition or Scripture are to be adhered to “With firm faith”. But the infallible teachings of the Magisterium which are implicit in Tradition or Scripture are to be adhered to “also firmly”, that is, with the same type and degree of assent. Then, finally, the non-infallible teachings require only the “religious submission of will and intellect”, not the full assent of faith. The basis for the distinction between these two types of assent is that the non-infallible teachings allow for the limited possibility of error, whereas the infallible teachings are certainly free from all error. However, we should not consider these truths to be outside of Divine Revelation, and merely connected to it, as if a rope had been thrown to a truth outside the Sacred Deposit of Faith. Rather, this “necessary connection” makes these truths truly a part of Divine Revelation, truly divinely revealed — otherwise, the Magisterium would not be able to teach these truths infallibly. For all that the Magisterium teaches must be found, at least implicitly, in the Deposit of Divine Revelation entrusted to the Church by Christ. So the expression in the Profession of Faith and in Ad Tuendam — “to be held definitively” — does not indicate a different level of assent. This same language “definitively to be held” is used by Vatican II when speaking of infallible teachings of the Universal Magisterium, and the similar phrasing “to be held” is used by Vatican I for teachings of Papal Infallibility also. When magisterial documents use the phrases ‘divine and catholic faith’, or ‘definitively to be held’, or ‘the full assent of faith,’ or similar phrases, these all refer to the same level of teaching, infallible, and to the same level of assent, theological assent. Furthermore, it would be absurd to say that some infallible teachings (dogmas) of the Magisterium require the full assent of faith, and other dogmas require some lesser degree or different type of assent. If a truth on a matter of faith or morals is taught infallibly by the Magisterium, from the Sacred Deposit of Faith, so that there is no possibility of error, as a required belief that must be held by the whole Church, what would be the reason for saying that we need not (or should not?) give that truth the full assent of the theological virtue of faith? How could anyone justify some lesser exercise of faith, when the teaching is infallible, irreformable, on a matter of faith or morals, from Divine Revelation, and is a required belief of the whole Church? This position is entirely untenable, given that Vatican I and II teach two levels of assent, and given that the expression ‘to be held’ (and similar terms) are used for infallible teachings without such a distinction. Therefore, I conclude that there is an error in the commentary on Ad Tuendam, written by then-Cardinal Ratzinger, in which he attempts to distinguish a new level of assent, dividing assent to infallible teachings into those to be believed with divine and catholic faith, and those to be held definitively. His position is untenable, given that ‘to be held’ and ‘definitively to be held’ are used by Vatican I and II for infallible teachings without any such distinction. All infallible teachings of the Magisterium are dogmas which are to be believed with the full assent of faith, that is, with divine and catholic faith, and the expressions ‘to be held’ and ‘definitively to be held’ are simply different ways of expressing this same type of full assent. Such a teaching is infallible, and is a required belief. Such a teaching might be taught under Papal Infallibility, or Conciliar Infallibility, or the Universal Magisterium. A non-infallible ordinary teaching requires only ordinary assent (the religious submission of will and intellect) because errors are possible in non-infallible teachings. But an infallible teaching of the Magisterium cannot err, must be on a matter of faith or morals, and must be found in the Sacred Deposit of Faith, at least implicitly. Therefore, there is no justification for such an infallible teaching of the Magisterium to require a different type or lesser degree of assent. If such an implicit teaching of Tradition or Scripture can be taught as divinely revealed, then it must in fact have always been divinely revealed. And if it was taught infallibly in the first place by the Magisterium, there remains no basis for a distinction in the type or degree of assent. It is an infallible teaching of the Magisterium, it is also found implicitly in Tradition or Scripture and is thus divinely-revealed. The only distinction is that this type of teaching is implicit (‘necessary connection’) in Tradition and Scripture. But Cardinal Ratzinger asserts that such a teaching can be taught as divinely revealed at a later time, which implies that it must have always been divinely revealed. Neither can a distinction in assent be based on possible error in the teaching, since he asserts that this teaching is infallible. Therefore, it is an error to say that an infallible teaching of the Magisterium from Tradition or Scripture on a matter of faith or morals could ever require less than, or other than, the full assent of faith (which is also called divine and catholic faith, or theological assent). The distinction made by Pope John Paul II is between infallible teachings found implicitly, and those found explicitly, in Tradition and Scripture. But the type and degree of assent must be the same full exercise of the theological virtue of faith. The teaching of Vatican I and Vatican II, and the example of Trent (using ‘to be held’ for the dogma on the Canon of Scripture) take precedence over the non-infallible teaching of then-Cardinal Ratzinger. (It is worth noting that, as Pope Benedict XVI, he has made no similar assertion on levels of assent.) 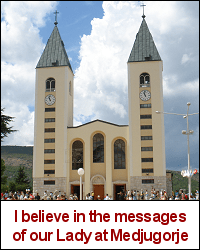 Since Vatican II teaches that the Magisterium cannot teach other than from the deposit of Divine Revelation, these truths that are ‘strictly and intimately connected’ (i.e. which have a ‘necessary connection’) must be considered to be implicit within Divine Revelation. Otherwise, the Magisterium could not teach these truths even non-infallibly. So Cardinal Ratzinger errs by saying that these truths might not be divinely revealed — they might not be explicitly divinely revealed, but they must certainly be at least implicitly divinely revealed, or they could not be taught at all, and certainly could not be taught infallibly. Pope John Paul II contradicts Cardinal Ratzinger’s position in a series of general audiences on the Magisterium. In particular, John Paul says: “As you know there are cases in which the papal Magisterium is exercised solemnly regarding particular points of doctrine belonging to the deposit of revelation or closely connected with it. This is the case with ex cathedra definitions….” Notice that he groups doctrines “closely connected to the Deposit of Divine Revelation with the per se contents of that Deposit — both are the objects of infallibility. He does not divide these into two different levels of assent. Moreover, the term ‘firmly accepted and held’ is essentially no different than the wording used in the Profession of Faith for the truths requiring the full assent of faith: “I … with firm faith believe” and “With firm faith, I also believe”. Then the Profession continues, saying: “I also firmly accept and hold” using a different wording, but for the same level of assent. And this is proven by examining the documents of Trent, Vatican I, and Vatican II. This is an example of an error in a non-infallible teaching of the Magisterium.